I was going brought my closet when I found a 9mm AR kit I purchased in 2001 and never built. 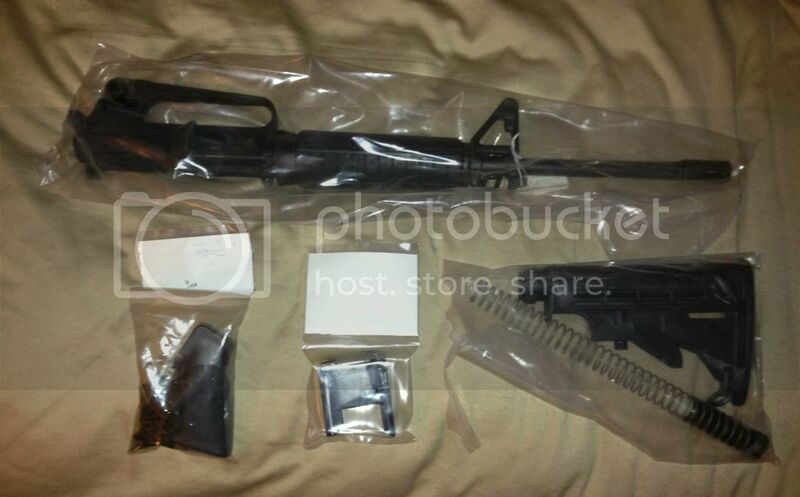 It's a "pre-ban" kit and I don't have a spare pre-ban receiver to build it, and rather than invest in another pre-ban lower, I've decided to offer the kit up. Bolt and CH are in the upper, and the upper is in a sealed bag. It will remain sealed. Payment by postal money order only. Not interested in trades.